Hello and welcome to the Jollydollyshop. 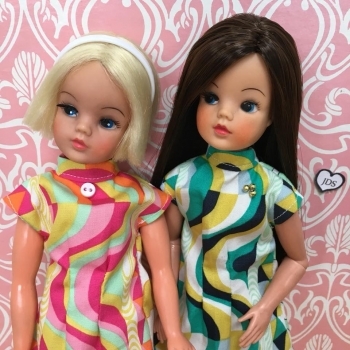 Jollydollyshop began when I started making clothes for my daughters’ dolls. 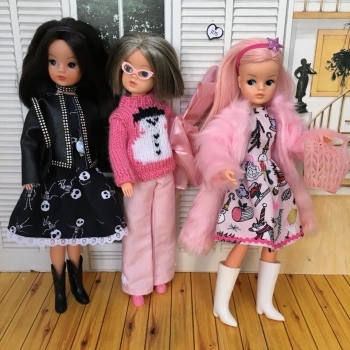 Like a lot of younger children, my girls found it hard to dress their dolls independently and the clothes they had did not appeal to me as a mother. I decided to design clothes that were easy for them to manage, in a style I was comfortable for my girls to play with. Other people liked them and Jollydollyshop began. 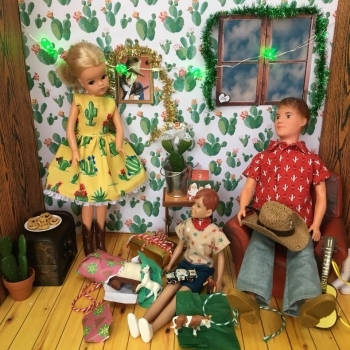 In my Etsy shop you will find jeans and jumpers, coats and cloaks, sleepwear and dresses; all kinds of clothes in a vintage style for Barbie, Sindy, Ken and friends. There are clothes for dancing, running, sledging, climbing, working and playing in. 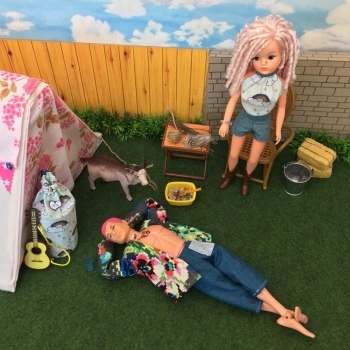 My children’s range are made from safe CE tested materials and machine washable, your children can get outside and have fun with their dolls. 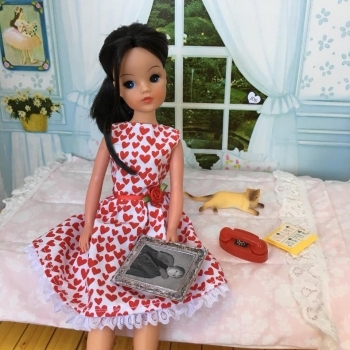 Nostalgia for my own childhood Sindy led me to discover the world of vintage doll collectors. 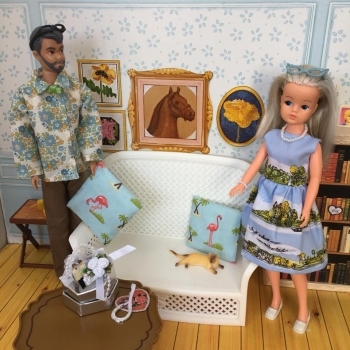 I began to make a range of Adult Collector outfits and to customise vintage dolls that had seen better days. With the right design and fabric you can create a personality and a back story for a doll that was previously considered unwanted. I love it when a plan comes together. So here I am, with an Etsy shop that sells retro clothes in two ranges, Children or Adult collectors. You can find Jollydollyshop on Instagram and Facebook for more photos and general dolly nonsense, and my Etsy shop is always open. Don’t miss the Friday Fun Photo posted every Friday on the website, featuring new and special items.